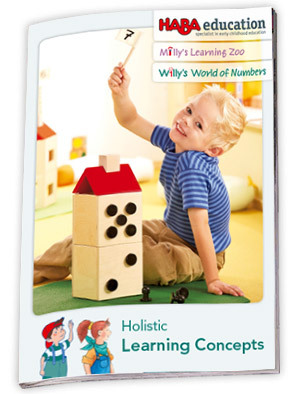 Willy’s World of Numbers is a holistic learning concept for the acquisition of solid math skills for basic numbers. In Willy’s Number World mathematics is presented from the child’s perspective: what is more natural than to think of a land where animals, paths, houses, towers, and gardens are numbers. Luckily there is also a number fairy, because sometimes a number goblin causes trouble. A land in which numbers are at home and make their mathematical properties known in a personal way. 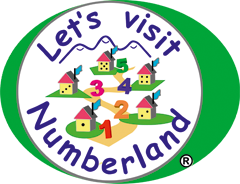 Children are fully involved in setup of Numberland, diverse play possibilities, and activities: with their heads, hearts, and hands. They experience the most important aspects of the numbers tangibly and playfully, and explore relationships within the number range from 0 to 10. The children are also challenged and motivated to develop perception and concentration, social skills, perseverance, fine and gross motor skills, creativity, and musical and language abilities. Would you like to attend a Willy Numberland seminar? An emotive, playful early math concept on numeracy+. The stories in „Milly‘s Learning Zoo“ are based on the holistic concept developed by PhD Gerhard Friedrich, which aims to let little brains learn preparatory mathematical skills at an early age. Differences in quantities, spatial terms and chronological sequences are explored both linguistically and visually. The Zoo Adventure with Dapdap the penguin and Milly the zookeeper invites children to play along with the related materials. Predetermined game ideas and free, experimental play introduces children to mathematical thinking.